The movie starts off with a few military helicopters patrolling the American-Mexican borders. When the US soldiers round up a group of illegal immigrants, one of them dashes off in an attempt to escape. When he’s cornered at the edge of the cliff, he pulls out a detonator and self-destructs on the unsuspecting soldiers. Meanwhile, in Kansas City, a trio of suicide bombers terrorize a departmental store. The viewers watch painfully as a mother tries to persuade one of them to spare her and her daughter, only to fail. US secretary of defence, James Riley (Matthew Modine), suspects the Mexican drug cartels are behind the trafficking of ISIS extremists across the border. Desperate, James engages Matt to “play dirty” by starting a war between the cartels in hopes of getting them to eliminate each other. 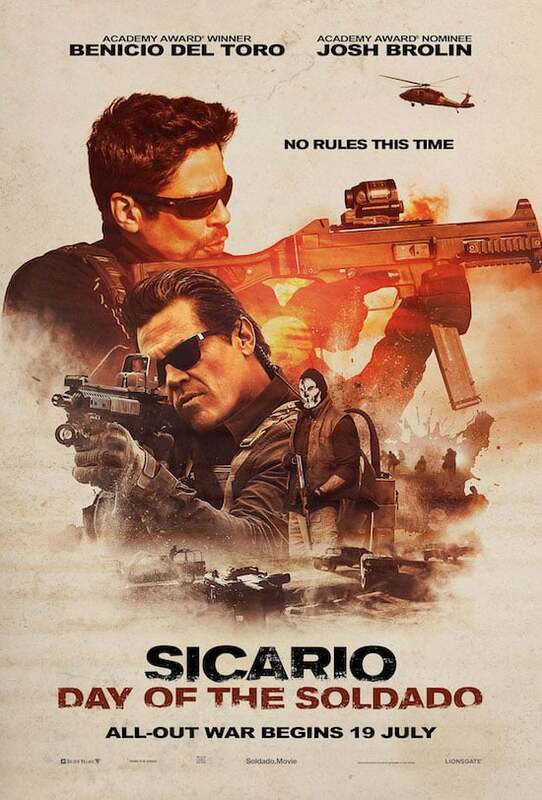 Matt decides to get his long-time friend and trusted hitman, Alejandro, to assist his team in an elaborate plan — kill Matamoros cartel’s star attorney while kidnapping its rival cartel drug lord’s daughter, Isabela Reyes (Isabela Moner, Transformers) to sow discord among the two biggest cartels. Of course, the plan falls apart. In the process, the film reveals some backstories of our secretive sicario (hitman in Spanish), Alejandro. While looking out for Isabela, the cold-hearted killer of Sicario develops a bond with her and even risks his life for her safety. Narrative aside, Soldado presents fairly effective suspense amid the fast-paced gunfights. Every set piece where we have our invincible main leads (as with any action flicks) overpowering ambushes and dozens of enemies are masterfully executed by director Stefano Sollima and cinematographer Dariusz Wolski’s (Pirates Of The Carribean franchise). Brolin and del Toro deliver nothing short of spectacular performances. 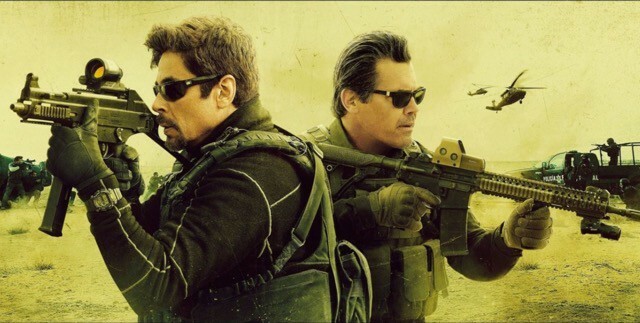 Brolin is in his best role as a cocky and ruthless CIA captain while del Toro maintains the air of mystery of an ex-top sicario and pulls off the more human side of his character. 17-year-old Moner deserves a mention for her portrayal of a traumatized kidnap victim too. Undoubtedly, Soldado might look like a blatantly racist film — it’s the US versus the Mexican cartels and the white men obviously come out on top — and it could very well be. That said, it’s a movie that you’ll enjoy if you just sit back and watch for the shootouts and suspense. Summary: Relish in the flashy gunfights and mounting suspense but forgive the illogical climax and conclusion — this movie is better enjoyed that way.